I am looking forward to doing some research on "caipirinhas." My theory is that I will like doing this reseach. Remember, I am a scientist. As a scientist, I test a theory; then I test it again; then I test it again;then I test it again, ad infinitum. Hey, by the way . . . how old are you? caipirinhas - like making lemonade with lots of sugar and substituting "little water" (vodka) for normal water. Used on Sundays to avoid having to deal with Mondays and skipping directly to Tuesday. Sorry my broken body prevents me from coming.Anybody know of a drink like this that will fast-forward me three weeks? berndt, after may last surgery, I found that Oxycontin & red wine caused me to black-out for three weeks! I may have still been in terrible pain for those 21 days . . . I just can't quite remember! On second thought . . . don't try it! no worries, Berndt! we'll have a "got" well party as soon as you are ok!!!! 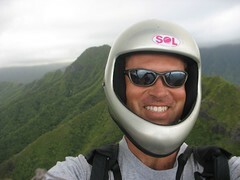 visit Bali, and enjoy paragliding there...! Gee, having some guy who we don't know put a sales pitch to fly Bali on a thread regarding a birthday party makes me not want to go to Bali to fly. Jerrrrk! was he trancepassing our blog?